Utah Stories inspired me to explore the mysteries of bigfoot, or sasquatch, a common myth of the forests. Utah Stories was started in 2006 “to foster connections between communities and local business” through storytelling news. Their stories introduce start-up businesses, recap local events, and follow the lives of some unique Utah residents. Last week, anamonlogist Danny B. Stewart made a post called “Utah Bigfoot Sightings” (anamologists study anomalies). Stewart tells us that many believe the legendary Bigfoot or Sasquatch — both refer to the same creature — resides in Utah! Stewart gathers many stories that tell of Bigfoot run-ins. His stories range from an eighteenth-century family that was saved by the creature, another of an eight-year-old who locked eyes with Bigfoot in an orchard, and another from a man who saw Bigfoot standing on the side of Provo Canyon road (Hwy 189). The stories remain unverified and inconclusive as to the existence and location of this legendary hairy figure. But Stewart says there could be a rare, undiscovered North American species behind the myth. You can read more about his stories HERE. My favorite Bigfoot story theorizes the creature’s identity as Cain, the son of Adam and Eve. Cain, in the Book of Genesis, slew his brother Abel “and the Lord set a mark upon Cain.” Then, “Cain went out from the presence of the Lord, and dwelt in the land of Nod, on the east of Eden” (genesis 4: 15-16). Since then, Cain has been forced to walk the earth as a fugitive. The “mark” the Lord gave him was his dark hairiness. David W. Patten described an encounter he had with Cain in 1835. He says a large, dark, hairy man told him his mission was “to destroy the souls of men.” Patten powerfully commanded the being to leave, and it walked off slowly. This account is available at LDS Living’s website. Since then, sightings of the creature have been reported in Weber, Utah, and more recently, in other areas of Utah as well. Even the Smithsonian has a possible explanation for the creature that purportedly lives among us. An article on the Smithsonian site talks about a large species of ape called the Gigantopithecus. 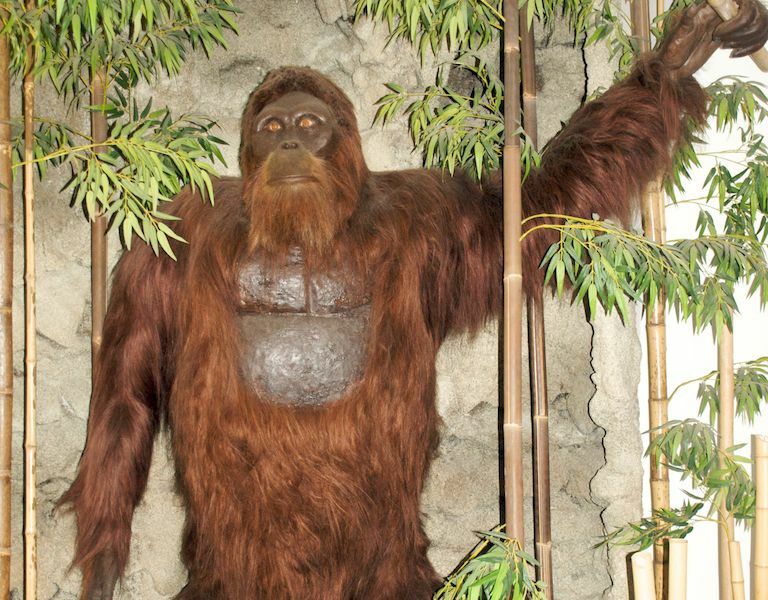 This ape was discovered in Hong Kong in 1935, by “Ralph von Koenigswald, a German paleoanthropologist.” The ape was a whopping 10 feet tall and 1,200 lbs! It is the closest match to descriptions of the creature given in many of the purported Bigfoot stories. The issue is, the ape went extinct 300,000 years ago. But many believe the species still exists, in large forests and rugged terrains. Read more HERE. Is the giant hairy man Cain? Is he a rare undiscovered species? Or is he nothing more than a myth? The many reported Bigfoot sightings suggest it may be more than a spooky story for Scouts to share around the campfire. It’s okay Edward! It’s just Folklore! I am a person who loves to hear stories of myths and legends. What’s great about these stories is that there isn’t any supporting evidence, enough to distinguish whether they are real or not. That is why they are called myths and legends. 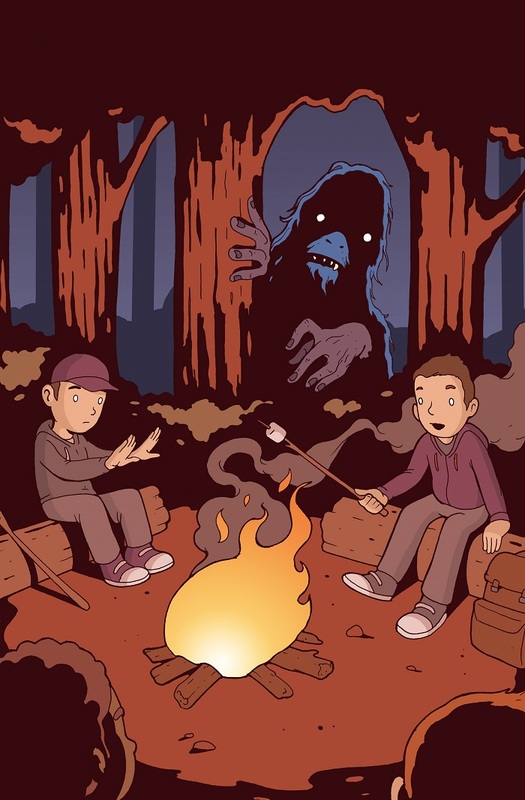 I don’t think it matters where they originate from, scary/eerie stories are the best when you are out camping with Scouts. It wouldn’t be camping without stories around the fire. I haven’t heard the rumor of Big Foot being in Utah. It makes me want to read further in different theories. Loved the article! In case any of you are tempted to share this ludicrous idea with others and thus perpetuate another tall tale of false doctrine, Bigfoot is NOT CAIN. Thank you ladies and gentlemen. In case you can’t tell, I am slowly rolling my eyes at the very suggestion.